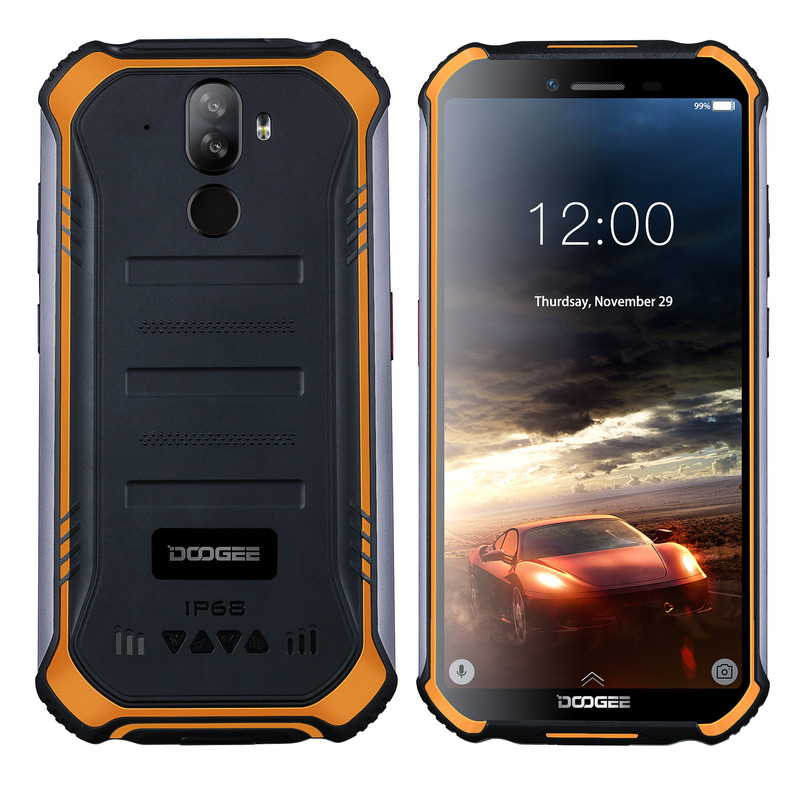 Entry-level highly rugged smartphone rated IP68/IP69K & MIL-STD-810G, Quad-core with Android Pie, OTG, NFC, 4G LTE Connectivity, fingerprint sensor and a Dual SIM. Entry-level highly rugged smartphone with a metal frame body, it is dustproof and waterproof rated IP68/IP69K (1.5 meters) & MIL-STD-810G. It has 4G LTE connectivity, a fingerprint sensor, face ID recognition and dual SIM capability. It comes with a 5.5-inch capacitive multi-touch Gorilla Glass 4 IPS display with a FWVGA resolution of 960 x 480 (ratio 18:9). On the inside, it runs with Android Pie (9.0) on a 64-bit Quad-core 1.5GHz MTK6739 processor, 2 GB of RAM, 16 GB of internal storage and a 32 GB microSD card slot. It sports a 8MP+5MP Dual autofocus camera (Front 5MP), a Dual LED flash and video 720p@30fps. GPS/Glonass receiver, FM receiver with RDS, G-Sensor, geomagnetic sensor and a fingerprint sensor. Connectivity WiFi b/g/n, BT4.0, OTG, NFC, 4G LTE and dual Sim. 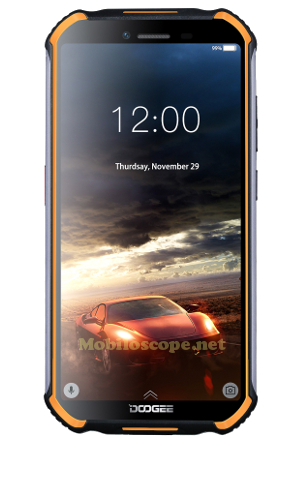 It measures 158.2 x 79.4 x 14.1 mm, it weighs 238 g and its built-in battery has a capacity of 4,650 mAh.